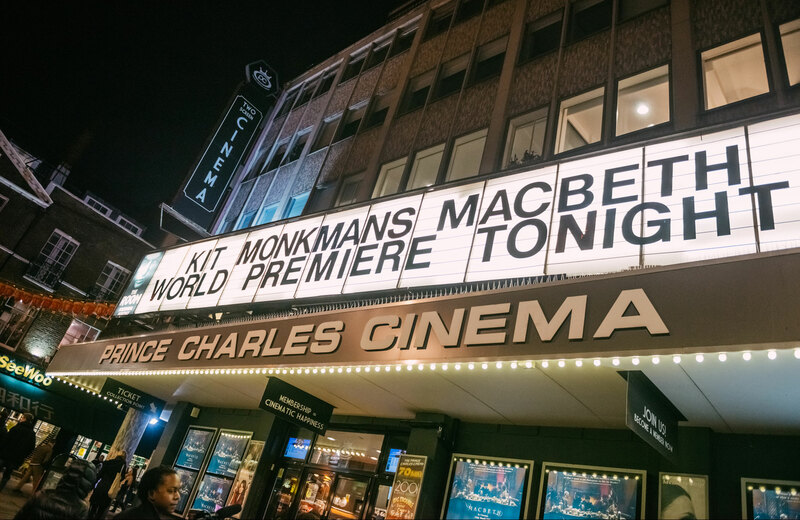 Outside the Prince Charles Cinema. 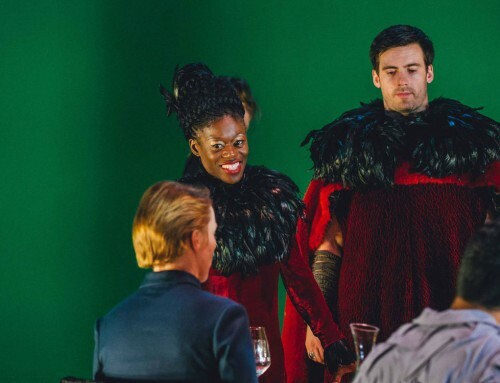 Last night was the world premiere of Kit Monkman’s ‘forceful reimagining’ of Macbeth. 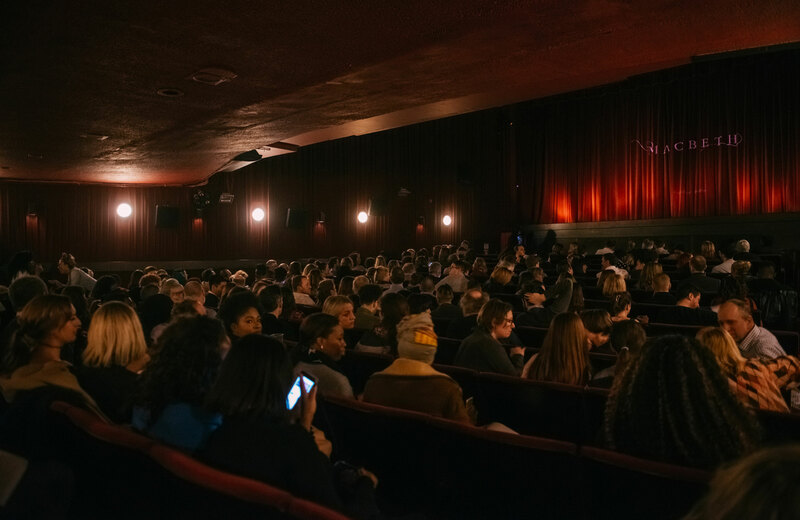 Some 250 guests squeezed into the retro velvet seats of the Prince Charles Cinema – a fitting location for a film so in dialogue with its cinematic past, and that moves readily across the boundary between theatre and screen. 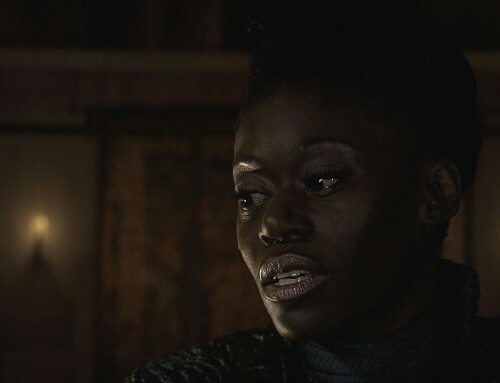 Akiya Henry (Lady Macbeth) introduced the film with enthusiasm and a little bit of dancing, before captivating the audience for a further two hours with her on-screen performance. 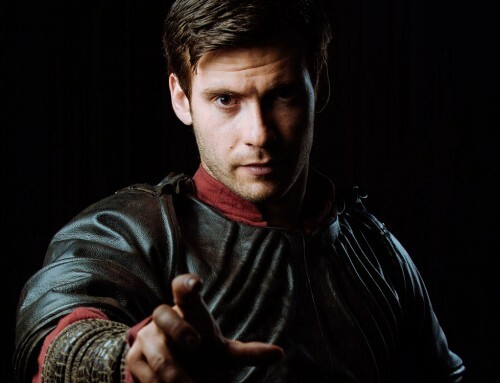 These hours were spent not so much in a cinema in the West End, as moving with Macbeth (Mark Rowley) between the dark rooms of a labyrinthine globe, created entirely (as if with ‘metaphysical aid’) on green screen. 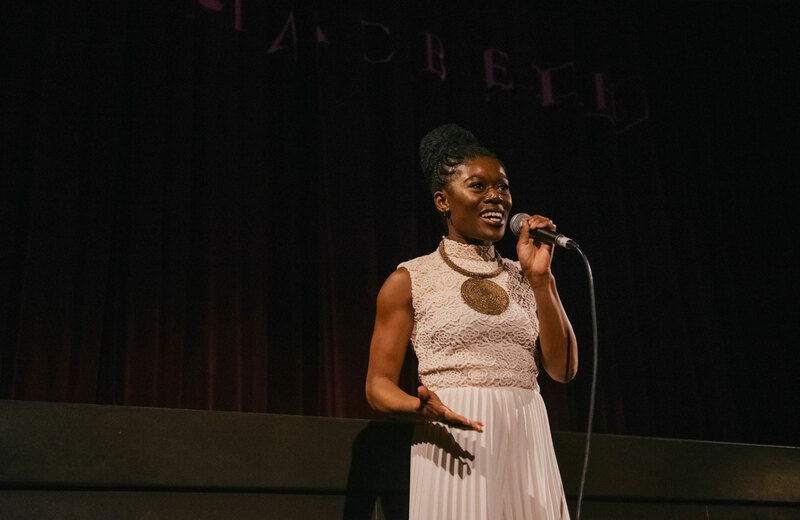 Akiya Henry (Lady Macbeth) introducing the film. The audience settle in for the screening. 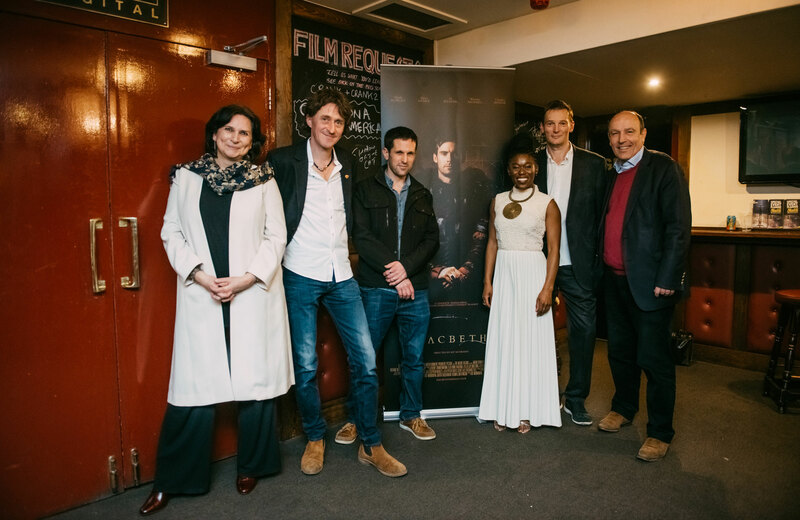 From left: Judith Buchanan (Co-writer and Shakespeare Advisor), Kit Monkman (Director), Tom Wexler (Visual Director), Akiya Henry (Lady Macbeth), Thomas Mattinson (Producer), Alan Latham (Producer).